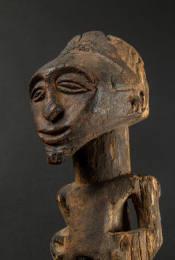 The populations of the savanna region of West Africa celebrated funerals and the memory of important ancestors with masked ceremonies. 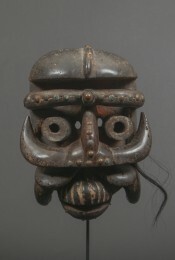 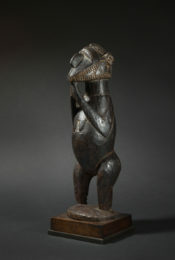 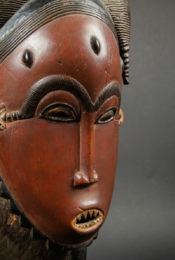 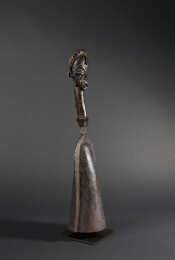 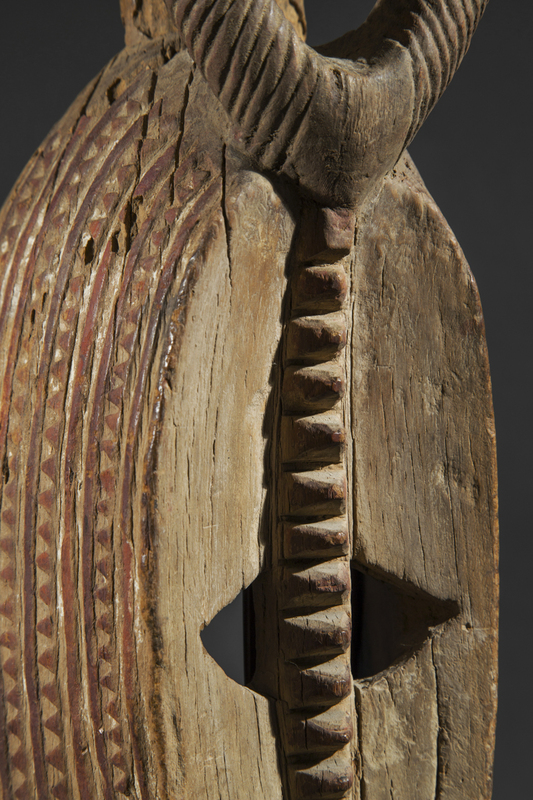 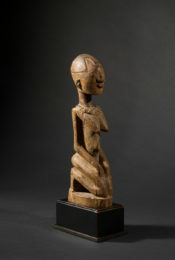 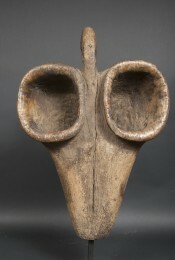 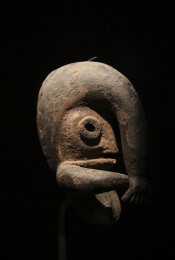 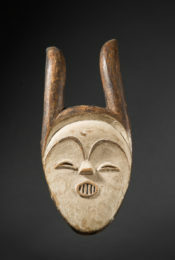 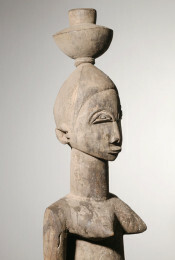 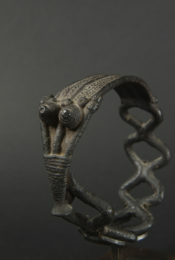 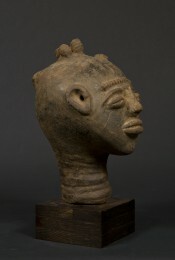 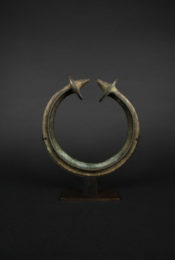 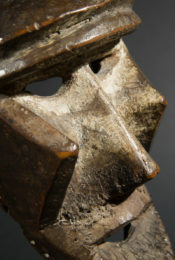 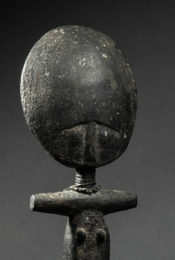 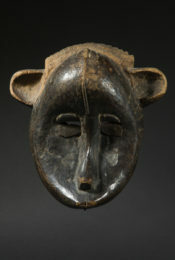 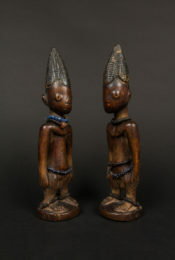 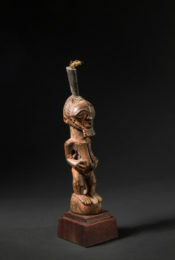 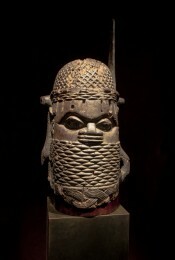 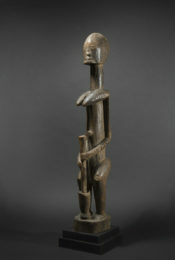 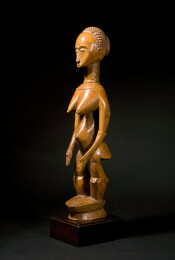 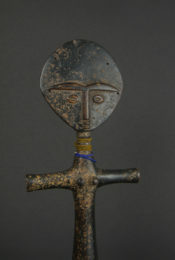 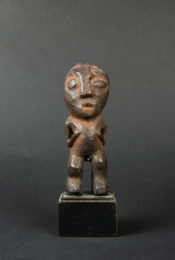 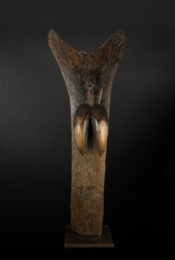 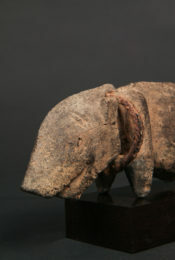 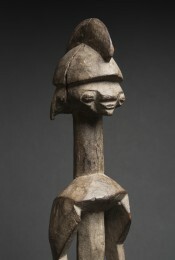 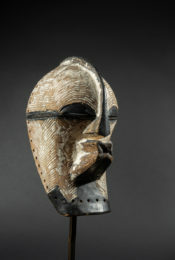 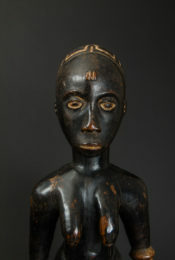 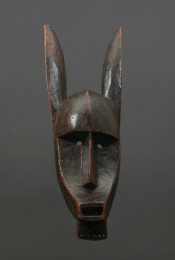 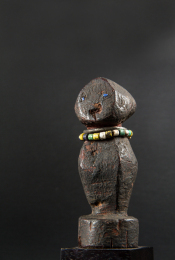 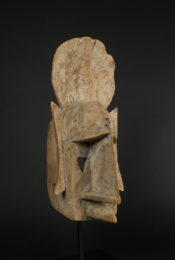 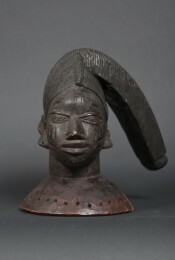 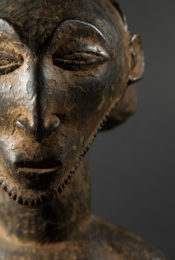 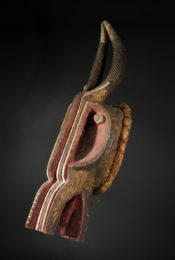 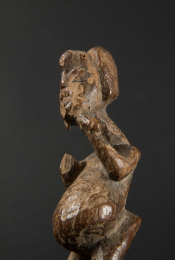 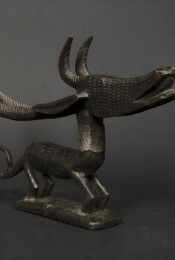 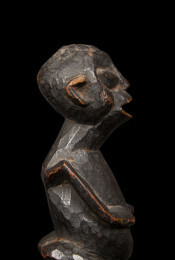 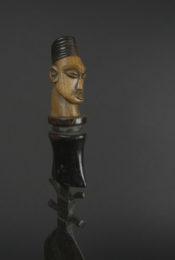 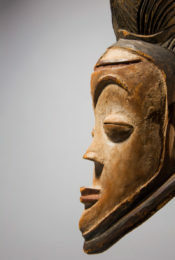 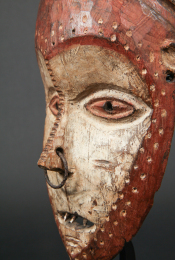 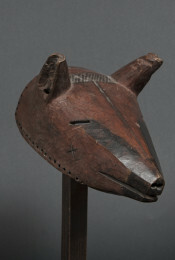 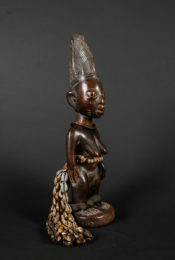 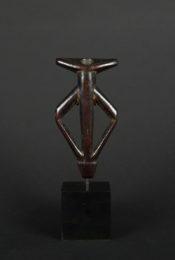 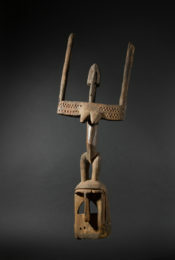 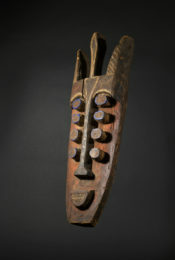 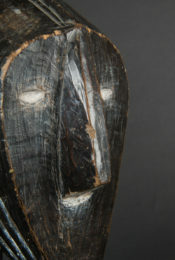 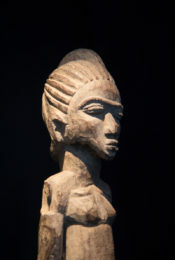 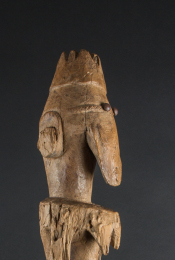 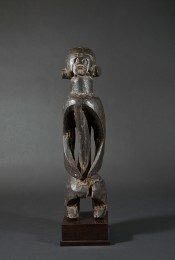 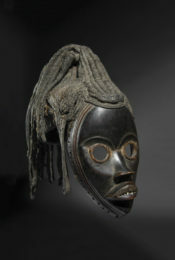 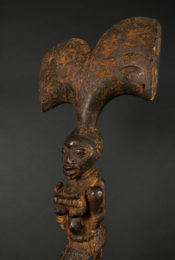 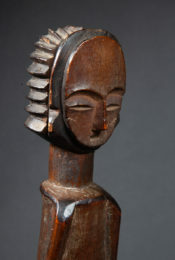 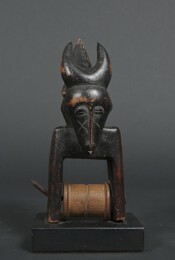 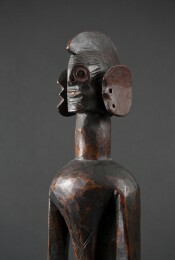 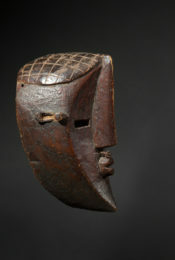 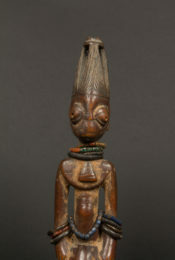 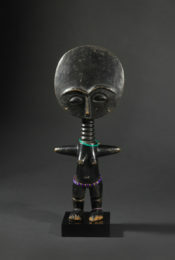 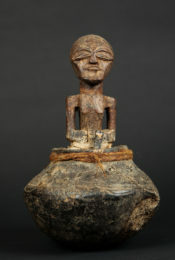 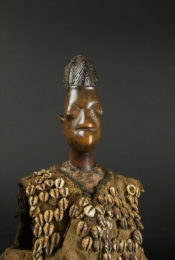 Mossi masks which incorporate a sculpted human figure on top are called Karan Wemba. 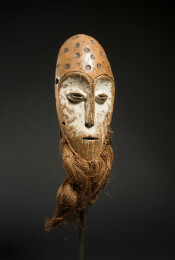 This mask honors the memory of a woman who, through her age, wisdom and experience acceded to the rank of revered ancestor during her lifetime. 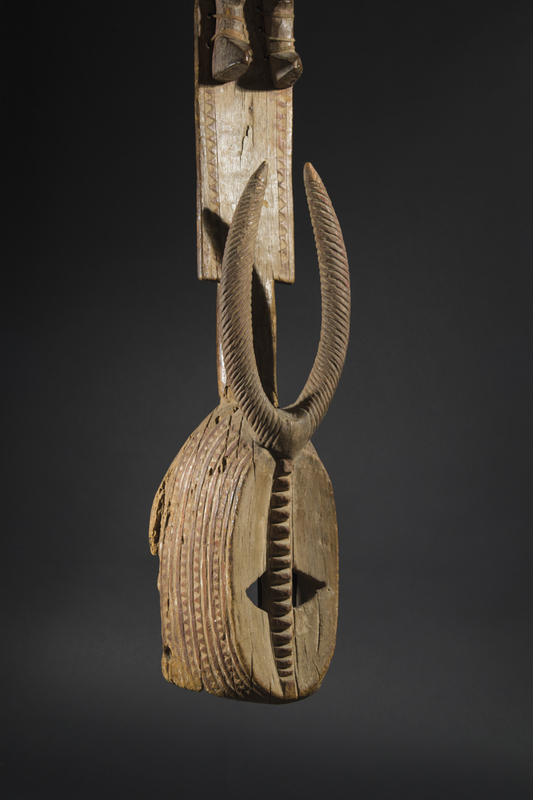 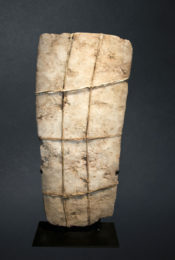 Incarnating ideal feminine beauty, this slender, powerful mask commemorates both the clan’s ancestor and the primordial spirit of the sacred antelope associated with it. 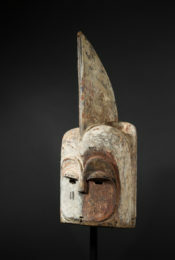 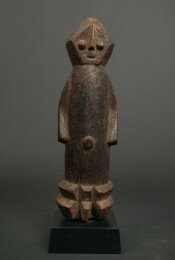 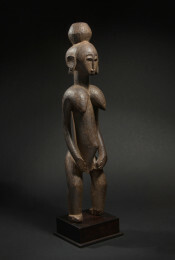 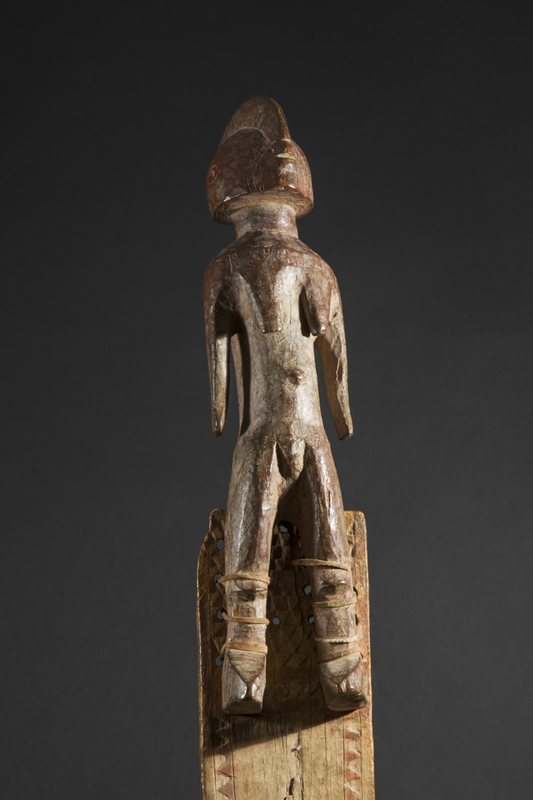 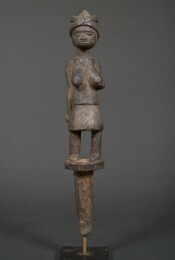 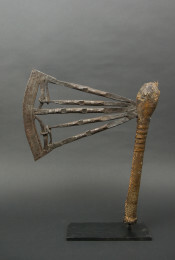 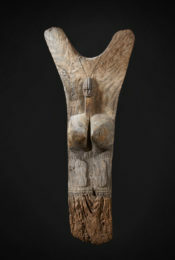 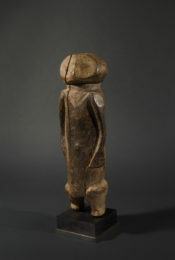 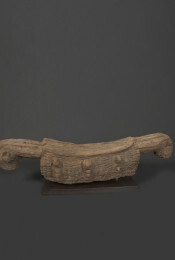 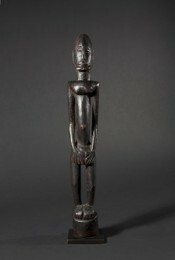 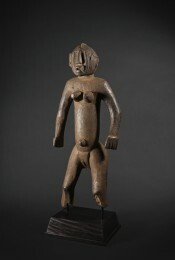 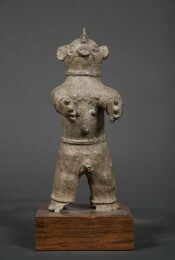 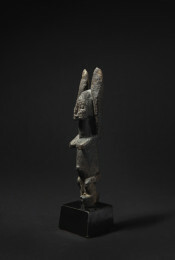 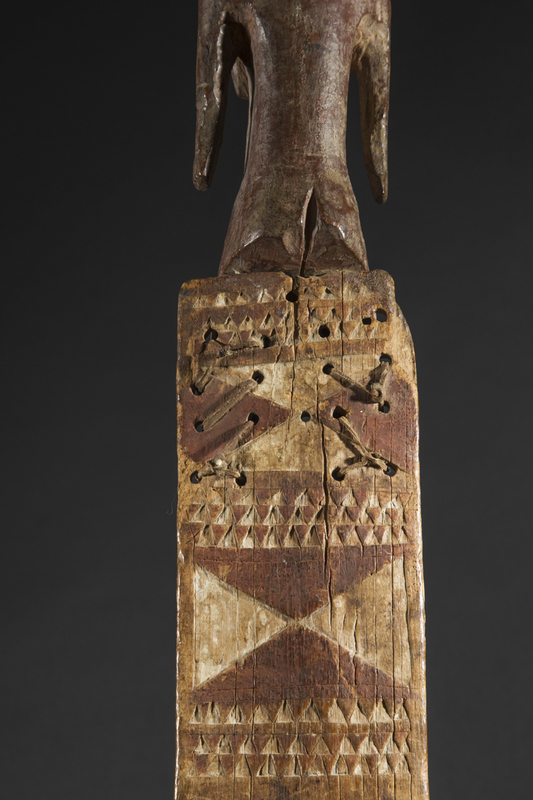 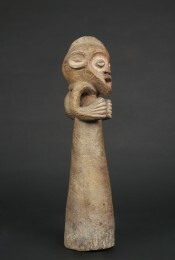 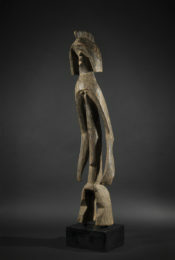 Forcefully planted on its two legs, the carved figure overlooks the mask with authority, while the mask itself and its sculpted decoration are proof of exceptional refinement and archaism.